Some of the most in-demand Chelsea luxury apartments are located on its far west side, near the High Line. Sleek glass condominiums minimalist interiors climb into the sky, overlooking the river and city. These lofty apartments contrast with the more charming 19th-century townhouses and the sprawling converted warehouses that also abound in the neighborhood. Evidently, Chelsea real estate runs the gamut of styles and price points. Dating back to 1929, the sprawling London Terrace sits at the luxury end of the scale and includes common gardens and a pool. Meanwhile, more traditional brownstones can be found between Seventh and Ninth Avenues. Chelsea has undergone many transformations throughout the years, with each generation leaving their own individual mark. British Major Thomas Clarke, who purchased the site in 1750, named it after London’s Chelsea neighborhood. At first a thriving port and industrial zone, it eventually transformed into a residential area as upmarket blocks of townhouses sprang up in the 1820s. Various waves of immigrants passed through in the 20th century, and the LGBT community flocked to Chelsea in the 1970s, making it Manhattan’s gay mecca. With the arrival of the Dia Center for the Arts in the ‘80s, artists followed. Today’s Chelsea has gone through a major period of regeneration with the arrival of the High Line. 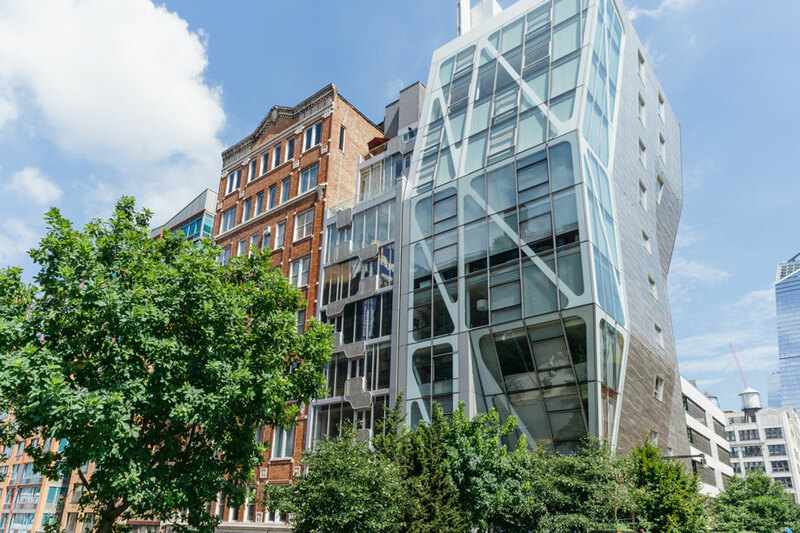 This has led to a property boom and the construction of high-profile developments designed by big names like Jean Nouvel and Frank Gehry. Award-winning eateries, artisan sandwich shops and inviting market stalls are just some of the dining options in Chelsea. At the higher end of the neighborhood’s foodie scene, dine on minimalistic sashimi or inventive fusion concoctions at Morimoto. This Japanese venture from Iron Chef Masaharu Morimoto dishes up reliably excellent seafood prepared in innovative ways. Other celebrity chef-helmed restaurants in the area include Mario Batali’s Del Posto and Tom Colicchio’s Colicchio and Sons. Chelsea Market is home to the popular Los Tacos No. 1, where throngs of diners line up for sizzling tacos and cool aguas frescas. 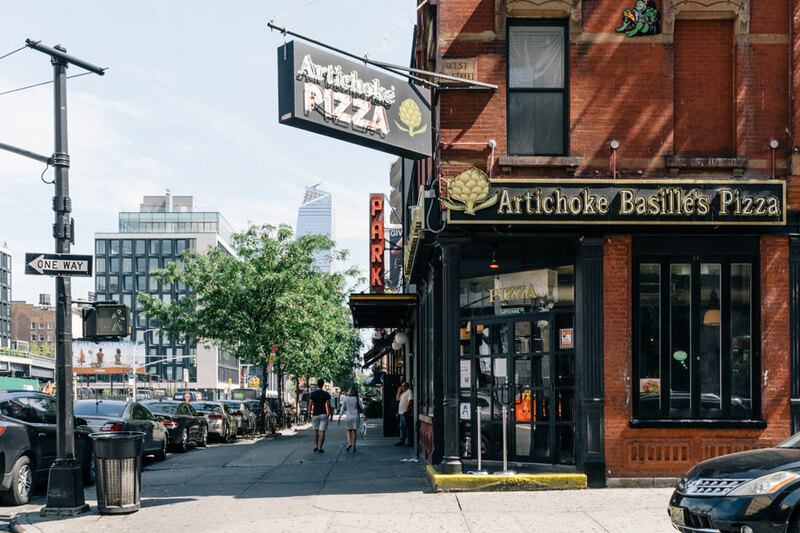 On this block, you’ll find every type of cuisine imaginable both within the market and tucked into Chelsea’s side streets, including a restaurant devoted entirely to meatballs. When the gallery doors shutter, Chelsea heats up. Marked only by an ‘open’ neon sign, The Tippler is a blink-and-you’ll-miss-it bar underneath Chelsea Market, with well-groomed staff and handcrafted cocktails. The Highline Ballroom draws a variety of rock, pop and jazz artists, and on Saturday nights it transforms into a thumping nightclub. Comedy clubs also populate the nightlife in this neighborhood. The Upright Citizens Brigade Theater, famous for launching the careers of many a big-name comic, showcases nightly improv and stand-up. Dance enthusiasts can visit the Joyce Theater, a hallowed city venue that brings tango and jazz dance performances to the clued-in, artsy crowd. Many Chelsea bars cater specially to a gay clientele. Barracuda, for instance, is a legendary lounge with live drag shows, while the Eagle draws in crowds for its rooftop barbecues. Thanks to an abundance of bohemian residents and visitors, there’s an artistic slant to many shops in Chelsea. Non-profit store Printed Matter, Inc. is home to an impressive inventory of roughly 40,000 artists’ books and magazines and holds regular events, exhibitions and book launches to serve the artist community. 192 Books sells a wider range of genres, with a particularly impressive children’s book selection. And Chelsea Market is more than just a place to have lunch. 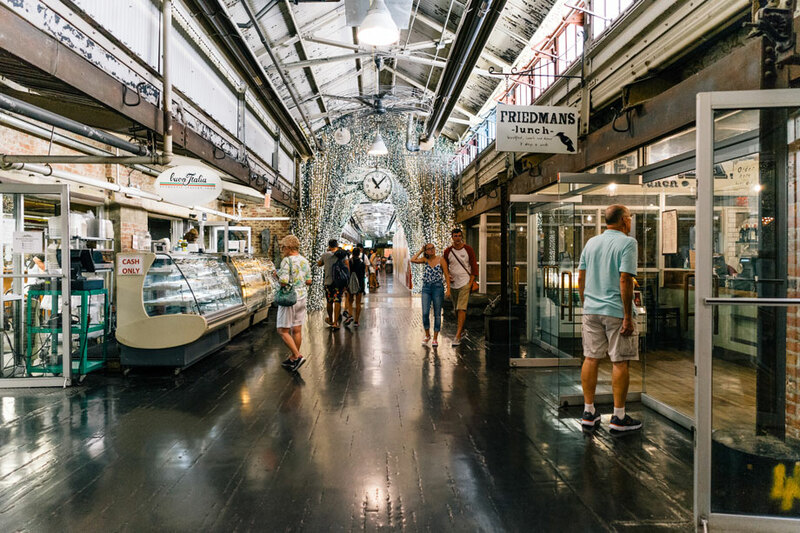 It’s one of the most important shopping and entertainment facilities in the neighborhood, serving as the headquarters for the Food Network and featuring quirky gift shops, exposed-brick walls and a staggering variety of eateries. The High Line sits on a set of old train tracks spanning the distance between Gansevoort and 34th Street. Perched 30 feet in the air, this festive boardwalk and park allows visitors to see the city from above, admiring its views and relaxing in seating areas. If you prefer a pathway closer to the ground, the Hudson River Greenway provides an unbroken trail skirting along the water. 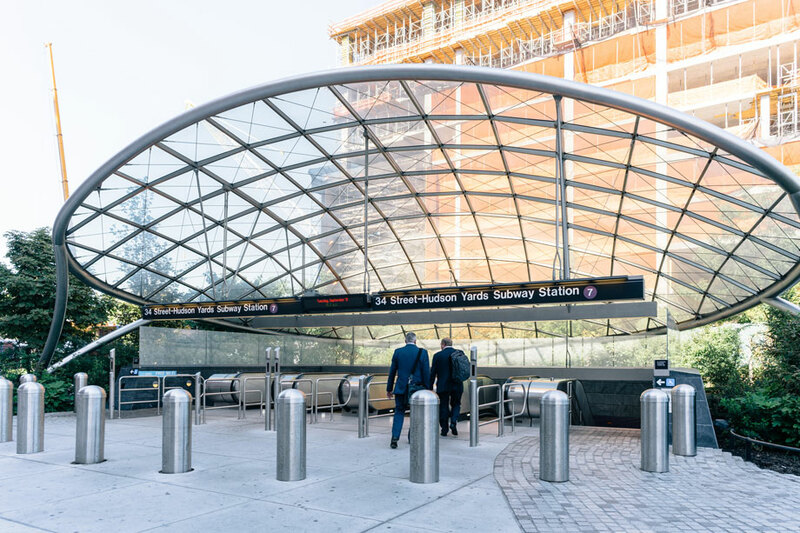 This leads you to Chelsea Piers, a 28-acre sports complex on the waterfront between West 17th and West 23rd streets. Yoga, ice-skating, rock climbing, bowling and golf are just a few activities you can get involved in here. Art galleries draw the alternative crowd to Chelsea today, but the Chelsea Hotel has long played an important role in the underground scene. First opened in 1883, the hotel has hosted a bevy of rock-and-rollers including Bob Dylan and Jimi Hendrix. Deemed a New York City landmark in 1966, it’s due to reopen its doors in 2017. Chelsea museums include the Museum at the Fashion Institute of Technology and Rubin Museum of Art. The New York City art scene is world-famous, and Chelsea is its beating heart, with over 200 art galleries lining west Tenth and Eleventh avenues. The Gagosian Gallery and the David Zwirner Gallery exhibit works by the art world’s most glittering stars, from Jeff Koons to Julian Schnabel. Many galleries throw open their doors to the public for openings, where you can rub shoulders with international collectors and view art by established names as well as up-and-comers.